2go Travel Promo: This post is a list of travel advisories from 2Go Travel that have affected a number of voyages due to the tropical depression, Urduja and the recent tropical storm, Vinta that hit the country especially in the Visayas and Mindanao areas days before Christmas. Having these said incidents opted the shipping company, 2Go Travel to reschedule their voyages to some select destinations especially those affected point of destinations. DELAYED Voyage due to previous delays caused by TROPICAL DEPRESSION URDUJA. 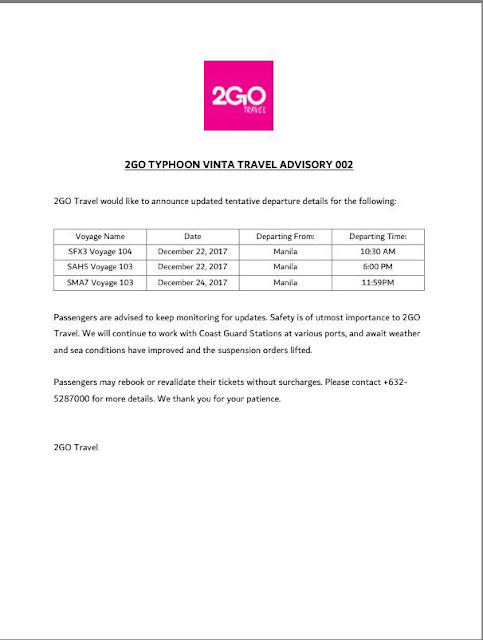 DELAYED Voyage due to previous delays caused by TROPICAL STORM VINTA. 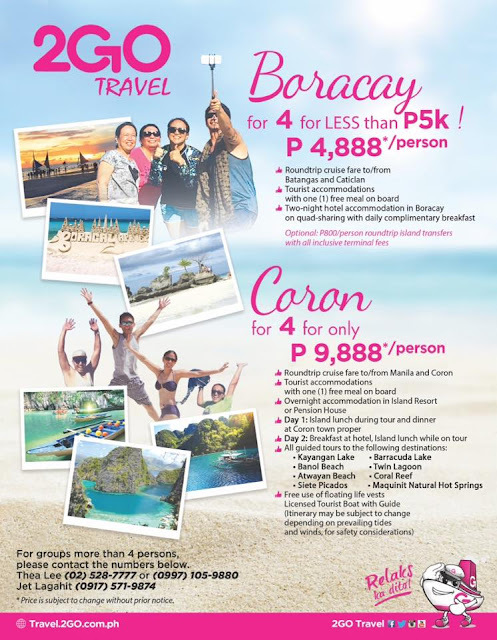 Please take note of the advisories above for your guidance. 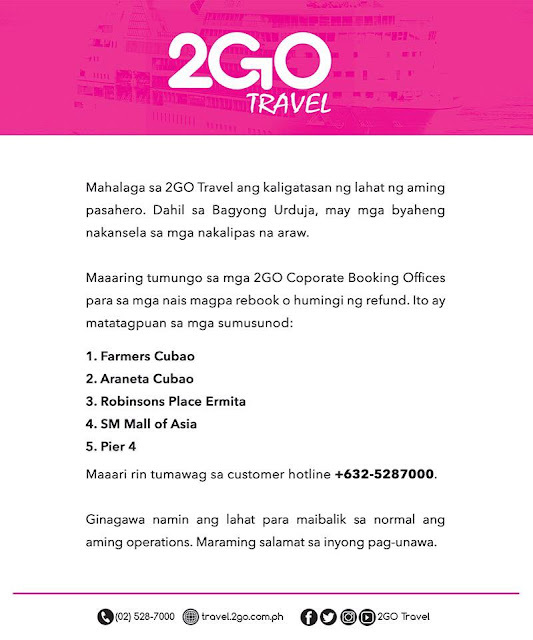 For any questions or queries, you may call 2Go Travel's hotline: 032-528-7000. Kailangan po bang isama ko pa sa pag book ng ticket ung lola ko na senior citizen na,para lang maka discount sya ng 20%? O id ng senior citizen lang nya ang kylangan?